COMMENTS: Perfect size for large tubs....will be ordering more. "Love these easy to use molds!" COMMENTS: I have tons of these molds by now, but still need more! They are so easy to use and hold up well with time. Great deal!!! "Bath Bomb Ball Mold - 2.75" diameter"
COMMENTS: Not as seamless as I thought it would be .. but it does work. COMMENTS: These molds are the size of a tennis ball! They can be used over and over! "Good for first time makers"
COMMENTS: I like that this bath bomb mold doesn't leave much room for error. It is a perfect mold for beginners to use and get use to molding the bath bomb materials together. What I dislike about this mold is that it is really really easy to split the bath bomb in half because it is somewhat difficult to match the edges together to make the mold spherical. COMMENTS: These are fabulous once you get the hang of them. if you grip too hard with your fingertips, you will get a dent in your bath bomb, but cup over the whole half of the mold with your hand and you should be fine. I dry my bath bombs in one half of these so they don't get flat bottoms, works great! "Love these Molds! Saves so much time"
COMMENTS: I love these bath bomb molds! I use them for drying my bath bombs so I don't get that dreaded flat bottom. I was having issues with my bombs having dents and flat spots when trying to dry them...not anymore! I use a press to make my bath bombs and it's super easy to press a bomb and flip it into 1/2 of this mold and set one my drying tray. 12 hours later I flip them into another 1/2 of these molds to dry the other side. I no longer have flat spots or fingerprints in my bath bombs. I would recommend these to everyone making bath bombs! COMMENTS: These are great to use for while making bath bombs. They help to hold the shape of round bombs while drying. We prefer to use these over fizzy foam to help dry our bombs in the shop. Great to use over & over. COMMENTS: Of all the different shapes & material molds I have this has quickly become my most favorite for making bath bombs! The mix never gets stuck. It's very easy to use. And I get perfect balls from it every time! I love how the lip around each half make it easy to fit together nicely so I don't end up with crooked bombs. COMMENTS: I used this and thought they turned out really cute... but my customers went for another style that was smaller. • Make a bit smaller. COMMENTS: These molds are exactly what was advertised. They are sturdy and look as if they will hold up well! So far so good for us, easy to use. COMMENTS: Having tried many different molds, my granddaughter and I like these the best--easy to use, you can leave the bomb in one half to dry, and they are a nice size. I'd buy them again. COMMENTS: Very easy to use for my bath bombs and I like that if you're careful, they can be reusable. COMMENTS: These are a good quality will definitely order again. COMMENTS: Love these. Makes the perfect bath bombs every time. COMMENTS: This molds are the perfect size for bath bombs. I had not issues using them. COMMENTS: I love these molds! I use them for my gender reveal bath bombs. a lot of molds don't work the way I want them to, but this one is perfect! I will definitely repurchase. COMMENTS: This is my go to bath bomb mold, the size is large so it's super easy to mold. The only problem, if you purchase these molds to use over and over, keep in mind the molds will go soft after 4 or 5 uses making it difficult to use. You will get a bunch of dimples in your Bath Bomb when the mold gets soft. But for a plastic mold, I was surprised I could use them that long. COMMENTS: these are so easy to use and i just love them! COMMENTS: I really like this mold. It's the only one i use for bath bombs at the moment. I find this size much easier to handle than the smaller version. COMMENTS: These are perfect to use for bath fizzies! Makes a nice package to sell them in also. Keeps them protected during travel to shows. COMMENTS: I have reused these about 5 times now, and for a plastic product, they've held up pretty well. There are several cracks in some, but I have kept reusing them and nothing detrimental has happened. Definitely re-ordering. COMMENTS: This is the perfect size bath bomb mold. It works easy and holds in place. Good for molding and packing in same mold. COMMENTS: This mold makes jumbo bath bombs. The molds are easy to use and the bath bombs release easily. Clean up is a breeze and I have used them over and over. I don't use them for packaging solely because I prefer my bath bombs to be naked when I'm at the market and selling my products. Great size. I may order a size down purely for quantity purposes. COMMENTS: Love this mold! Easy to use and my bath bombs look awesome! COMMENTS: I like to use the mini bath bomb mold but having the large is a great option as well. Easy to use. "Absolutely PERFECT Bath Bomb Containers/Molds"
COMMENTS: It was always a challenge to package bath bombs to look as professional as I would like until these! Thank you! I suggest 155 X 55 Shrink Wrap Band however, if you want to go around the seam. COMMENTS: These are HUGE! Love them! COMMENTS: Love this mold, it is heavy enough to reuse or use as product packaging. COMMENTS: I guess I'm a stainless steel girl. I had trouble with these and could not get them to work. I wish I could have because they are a nice size and would be a great packaging set. COMMENTS: And they are quite big. "Works Great as a Mold"
COMMENTS: I have been using these to mold my bath bombs for almost 3 years now. Thankfully, I am getting a bath bomb press soon so that I don't have to experience noodle arms any more but these have been wonderful. I prefer these to a metal mold as they are easier to take apart when unmolding and you can let your whole batch sit in them over night while drying to ensure that you don't have any fall apart, etc. Plus, here in the deep south, they offer humidity protection to curing bath bombs (humidity can make even the perfect recipe do weird things!). I would not use these to mold AND package though as they gets pretty messy when molding them.
" Bath Bomb Ball Mold - 2.75" diameter (2 pc set)"
COMMENTS: The thought of making bath bombs has driven me bananas as I'm very new to this. But these molds make it a lovely experience. I will be purchasing more as I get more comfortable making them. They're just the perfect size! COMMENTS: This makes bath bombs that are about 8 oz and can be broken up for multiple uses. Also, it is reusable and very sturdy. I left my bath bombs in the molds for around 24 hours, and they held together well. I will buy again. COMMENTS: Love this little mold! I use it for little bombs for foot baths. 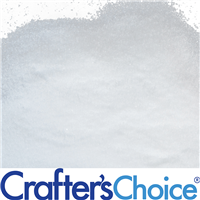 It does easily get indents if you are rough with it but it is not a super long term mold. COMMENTS: Made the perfect size bath bombs but the lip of the molds made it a bit difficult to form them. Love them. COMMENTS: These are huge! Customers love them as do I. You do have to be gentle when packing, they are only plastic but do a great job once you get the hang of it! Saves me and my customers money. These are reusable as well. "I Love these molds! " COMMENTS: I have purchased several sets of these molds. I just hand wash and reuse to make my bath bombs! They form a nice bath bomb and allow me to work quickly to complete orders. They are very durable! "Too me a second to get the hang of it"
COMMENTS: When I first started using these, I was twisting and turning the molds too much and I also did not realize that the way that they came packaged, the tops were on one side and the bottoms where on the other. Once I realized why the sides were not meshing and that I didn't have to put so much pressure into the closing, I was on my way. 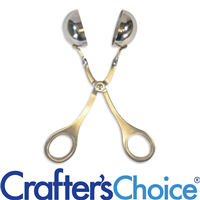 Easy to use and not too flimsy that they will bend and crack. COMMENTS: These are wonderful and make bath bomb making a cinch. COMMENTS: I love these molds! It makes the perfect size of bath fizzies. It holds together well and can be used over and over. COMMENTS: I was really surprised at the size and how this is built. I figured I would be disappointed but I wasn't. I should have bought more. I will order a few more. Nice size. COMMENTS: I love these molds, I find them easy to use and I will be buying more. COMMENTS: I have tried steel bath bomb molds and Christmas ornament bath bomb molds- I hate them. These molds are the only ones that work for me. With them, I make beautiful, perfectly round molds. I had intended to ship in these but my customers seemed to have a hard time removing the bombs from them once they arrived. I have made at least a hundred bath bombs with these same molds I ordered over a year ago! The have been used, washed, thrown around and not one has broken. COMMENTS: I have tried other bath bomb molds in the past, and this is by far the best quality. Others that I have tried cracked after use. This mold seems very sturdy and is easy to hold for molding. It was larger than I thought - good surprise! Will be purchasing the smaller size at next order. • Good quality. Very sturdy.
" Milky Way™ Bath Bomb Ball Mold - 2.75" diameter"
COMMENTS: After a few attempts I managed to get a bath bomb that looked like it came form the Lush store. Take a bit of effort and manipulation but it can work. COMMENTS: These are very sturdy. They are not only great for packaging but also for using as a mold over and over! COMMENTS: I bought this set because I wanted to test out my bath bomb making skills. These molds are the perfect size. Very large! A little tricky to figure out at first, I wasn't sure if my consistency was off or if the molds just didn't work. But it was definitely my consistency, the molds work beautifully. "Cave a little to pressure"
COMMENTS: These molds are perfect for me, I know most people prefer the stainless ones but I actually leave my bombs in their molds overnight so these are perfect. "These are super easy to release!" COMMENTS: These molds combined with my recipe (which I think is fairly standard?) are PERFECT! No problems getting the fizz/bomb to release from the mold, easy to use just one over and over to finish out the batch because they're such an easy release! I highly recommend these! COMMENTS: These molds work very well for making my bath bombs. "Great For Molding Bath Bombs"
COMMENTS: These work great for molding the bath bombs. Very easy cleanup on them when you are done, and great for over and over usage. COMMENTS: My customers love the size bath bombs these molds make, and I love the versatility of the mold (mold and packaging all in one). Making the bombs are very easy, I absolutely love it! Excellent product! COMMENTS: The mold make a very large bath bombs that are easy to remove. It's nice to leave one side of the mold on overnight to keep the shape while it's drying. I reuse them. You can make lots of bombs at a time if you aren't using them for packaging. COMMENTS: This mold makes large sized bath bombs. The molds are sturdy enough to be used more than once and makes perfectly round bombs without finger indentations once you get the hang of it. Can also be used as packaging, which is great! COMMENTS: I expected this mold to snap together but it just sits on each other. Also for some reason my bath bombs have dents in them. I've tried multiple times to prevent denting but it keeps forming in the same places, even when avoiding those areas. Must have gotten a misshapen one. Otherwise, great product at a decent price. The plastic is more flexible than the ornament balls found in stores but still strong enough for many uses. COMMENTS: I made bath bombs with this and the came out big and perfectly round. I like these molds. You can use it as balls or let it appear as the planet Saturn which was what my son wanted. If you want a round ball effect just chip off the sides and you will have a perfect sphere shape. 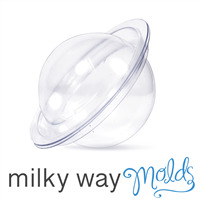 "Milky Way™ Bath Bomb Ball Mold=Fabulous"
COMMENTS: These are really fabulous! They are easy enough to put together, and the end product in the packaging is super cute and is so convenient! I will definitely be ordering more, and also in the other size too! COMMENTS: I love these molds, they're easy to use and my customers are thrilled with the shape. COMMENTS: These are a MUST if you want large, "Lush" like bath bombs! Buy ALOT! I use one set for molding, then take 1/2 of the set to set the bombs in overnight until they are hard. LOVE THEM! • Great for Bath Bombs! COMMENTS: Works great for my bath bombs and are the perfect size. COMMENTS: easy to use, stay together without issues for me. I package my bombs and then seal and label. But you could easily remove bombs after a few hours and reuse mold. COMMENTS: I don't know why I was thinking this would be smaller, but it is a good size! Nice sturdy plastic. Going to make some nice "stuffed" Bath Bombs! Love it! COMMENTS: I just got these and they were a lot bigger than I thought they would be. Great size for a large size bath bomb. "Easy to use, huge bath bombs"
COMMENTS: I mold my bath bombs in these molds and they are super easy to use! The only thing is that you need to pack them lightly so the mix doesn't stay on each side. It takes time to get used to it, but once you do, it is worth it! COMMENTS: Makes a baseball sized bath bomb that is awesome! Easy to fill and releases bath bombs easily. Love these molds! COMMENTS: These are great. They take the guess work out of making perfect bath bombs and you can gift them in the container. Will buy again. COMMENTS: Handy for molding bath bombs. COMMENTS: These have helped a lot and make these easier, I have used them as just molds as well as sometimes left them in the mold and used them as an ornamate style. Both are big hits. COMMENTS: These molds are perfect if you are selling, for personal use they might be a bit too big. I really love the size and you can do a lot more creatively with them, like adding in more color layers or embeds if you like. "The envy of all other bath bombs"
COMMENTS: My favorite thing about this mold is the sheer size - it makes a magnificent, massive bath bomb that easily competes with LUSH in terms of size. I don't use these for packaging my bombs, but as a mold they work well and can be washed thoroughly and reused many times. The only reason I took off a star is because they are somewhat flexible, which can make it very hard to line up the seal and it is easy to poke a dimple into the bomb when unmolding. Overall it gets the job done at a very reasonable price. COMMENTS: This worked very well for molding my bath bombs. I didn't actually use these to package and sell them so the ring around the mold made them harder to shape perfectly but I just cut the ring part off and it worked just fine! "Bath Bomb Ball Mold - 2.75" diameter (2 pc set) "
COMMENTS: I used these to let my bath bombs cure in. I couldn't get the bombs to form correctly in these. But after forming the bombs, this product worked perfectly to keep the bottom round as they cured. I will be ordering more. COMMENTS: I prefer the stainless steel molds better. I also did not this shape with the ring around it. It functioned fine but I did not like the mold design. COMMENTS: This was my first order for making Bath Fizzies and supplies to do it with, and this little gadget is a miracle time saver!!! COMMENTS: I am finding bath bombs are not my cup of tea...however, I'm still trying. That said, I first ordered the smaller size & have had both great success & massive failure. I just tried these today & I absolutely find them to be much easier to unmold, because my bombs are staying together. Wow, this makes a huge bath bomb too! I will continue to purchase this size. I like the rim that is formed around the bombs using this mold, but I've found that it breaks off more with this mold then it did when I used the smaller ones, however, I still am preferring these, as the bombs themselves seemed to turn out better. COMMENTS: These little gems are super excellent for making bath bombs. They make it so easy! I just ordered one but i need more. They make the bomb so fast and neat. Its what I'd been missing. I was over there trying to make bath bombs in soap molds. No more! "Size..meh but it still does the job"
COMMENTS: They were a bit smaller than expected but they do the job and are still a good size. COMMENTS: I am not a huge bath bomb maker but I had fun trying this mold during my first time making bath bombs and found it easy to use. "I use them for molds"
COMMENTS: Really easy to make bath bomb by them! Good quality too. COMMENTS: Love this bath mold. Makes BIG bombs which looks great. COMMENTS: The mold is not a problem. This is a case of "User Error". I need to keep practicing. COMMENTS: I really love these for molding and packaging my bath bombs. They do take some practice, though. What I do is use several of them over and over for molding, then when the bombs are done drying, put them into a fresh clean mold for packaging. The molds wash really easily and stay nice and clear. So far I've made 8 batches in different scents, still using the same 6 molds. My bombs end up weighing 8-9oz and are perfectly round. I ship them to my customers and haven't had one break yet. Love them. I need another 50! COMMENTS: these make huge bath bombs! They're lovely and very sturdy and I adored how well they worked. COMMENTS: Love using these to make bath bombs. Very easy to use and they come out perfect every time. "Great mold and package combined"
COMMENTS: I love being able to make big bath bombs and this size is perfect. The two pieces fit together well and after I use them as a mold I take them out to harden, then package them back up to sell. It's a perfect all-in-one and my customers like the hard plastic because it keeps them from breaking. COMMENTS: These molds are a little of the bigger side, which is not a big issue. However that border around it makes it a little hard to clean any excess when pressing them together. They are intended to be sold in the mold but you can also reuse them. If I sell local I put my bath bombs in bags but If I ship then I leave in the molds to protect them. "Easy to use! Simple to remove! " COMMENTS: This is the approximate size of maybe a tennis ball. COMMENTS: I looooove this mold. I will be ordering more soon bc I love bath bombs lol. This makes a great size and it's fairly sturdy plastic. The mold goes together well and I had zero problems releasing my Bomb. Cleaned up well too and I love the large size. Love love love! COMMENTS: For the price, these are a good purchase. The stainless molds are still my favorite, but these plastic ones does the job perfectly. I used these to make little bath bombs to give away for a baby shower. Someone who makes bath bombs even asked me if i had one of those fancy machines because my bath bombs look like hers do when she uses hers. I was flattered and proud when I said, "nope.. just the plastic molds from wsp." COMMENTS: Used to make bath fizzles for the first time and found this mold very easy to work with, make huge bath bombs. COMMENTS: Been using these for awhile now and they work great. Can make a bath fizzy 1-2.5oz depending on how tight you pack it, how heavy your mixture is, and if you use the saturn ring shape or the sides that don't make a ring. COMMENTS: I could not get the bathbombs to make a solid bomb. They cracked in the middle where the two halves would meet. COMMENTS: I never offered my bath bombs for shipping until I found these. 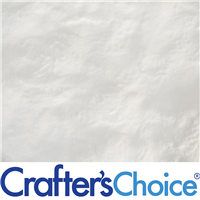 They are easy to use and I highly recommend them if you ship your product. They keep the bomb intact during shipping so your customers don't end up with a bag of powder or broken pieces. The 120 shrink band works better than the 95 band. It goes around sealing the edges. Punch a hole in one end of the shrink Band (the end that is not perforated) and you can add a hang tag (Avery 22848 tags) just before shrinking. You can then hang them on POS display strips, making merchandising them in your shops easier. The hang tags make labeling real easy as well. COMMENTS: I absolutely love these molds! I use them as packaging as well. Makes things go so much faster and easier! COMMENTS: I love this mold for making fizzies by hand. It's quick and easy to get the two halves pressed together. I also love that they are inexpensive, so I can make a lot of bombs at once. COMMENTS: I love these molds. I have been using the stainless steel molds and found these to be much easier to use. Like the fact I can also use as packaging if I want. COMMENTS: Worked really well on my bath fizzes. I will defiantly buy more. COMMENTS: I used these for my first ever attempt at bath fizzies and they worked perfectly! They had a slight learning curve to getting them exactly right, but once I had that down, perfect fizzies and decently easy unmolding every time. They make HUGE fizzies too! COMMENTS: This particular mold did not work for me. It didn't hold my shape very well. The salts would come out and the mold wasn't firm enough to keep it in place. If you have a firmer recipe that sets quickly it may work for you. If your recipe is softer and takes some time to set, I would choose a different mold. COMMENTS: I had no problem with my first attempt at making bath bombs using this mold. I order both size molds that WSP and I like this larger one better of the two. • Medium bath bomb size option. COMMENTS: While it does look a bit like the planet Saturn, this is a very nice way of keeping your bombs intact and contaminent free! "Good but doesn't seal well"
COMMENTS: Looks great and makes bath fizzies look awesome. The only problem is that the halves come apart when you don't want them to. COMMENTS: I use these to make my bath bombs. I can't ever get the two halves of the bomb to stick together, so I just make halves. Each half makes a generous 3.0-3.5 oz bath bomb. COMMENTS: These are much better than using christmas ornaments because you can push these together much easier. I actually have a press now but I still use these in my short runs. Buy a bunch and save money on a press. COMMENTS: These molds are easy to use and provide customers a solid, protected bath bomb. COMMENTS: I just started making bath bombs and did a lot of research on where to buy the molds. I wound up purchasing these and BOY AM I GLAD I DID !!! These make HUGE bath bombe weighing between 6 1/2 and 7 ounces each. The shape is perfect. They pack the ingredients together really well so there is minimal cracking and breaking after they dry. I read on another review these should only be used 3 or 4 times and then disposed of. I just used the same set of molds to make my 6th set of bath bombs and they are still holding up just like new. "Very effective bath bomb mold"
COMMENTS: I use these to make all sorts of bath bombs and they get the job done. I fill each half with my mixture, press tightly together and voila, perfect bath bombs. I've reused them several times and still no complaints - great value! I also like the size because it created a medium bath bomb - not too small, not too big. COMMENTS: I have tried on 4 occasions to use these and they are the most difficult thing I have tried. "Very good, but very large"
COMMENTS: I love this mold but it made 7.5 oz bath bombs! Gigantic! Still a great product though! "That Is One Large Bath Bomb"
COMMENTS: I purchased this size mold thinking it was the size of the bombs I've seen in the stores. I was wrong. This thing is HUGE. While the weight of the one bomb I was able to make successfully in the mold was 6.6 ounces, I know it wasn't as full as it should have/could have been (there's a fingerprint imprint in the top from when I was pushing the two sides together in the mold. I've since watched a video online that will help me correct that mistake next time, but it took me so long just to get that one done, that I flaked out and made the rest with the smaller mold on this batch. But I shall not be defeated by a plastic ball mold and will try again tomorrow. Except for the same wish I have for the small one (where the finished bomb is smooth all the way around without the really obvious seam around the middle), and the learning curve of using this type of mold, I'm happy with the purchase and look forward to using it again. Because of it's size, the mold portion doesn't seem as sturdy as the smaller one. That could also be because it wasn't filled to maximum capacity though. I'm giving it five stars because it can't be held responsible for operator errors. COMMENTS: My bath bombs have such a smooth high end finish. Be patient though, you need to learn how to remove the excess gently after your bath bombs set. A couple of mine had that 'Saturn' ring around them and in my haste chipped too much off the final product (only twice). But, my customers love the look and I feel extremely professional! Win win! "Nice Size Mold For Bath Bombs"
COMMENTS: I am using this for my bath bombs. This is not a good mold if you are thinking about making one at a time because the bomb will not hold its shape to dry. It is better to let it dry in the mold before unmolding. I learned the hard way. Also, the lip leaves a ring around the ball so when you unmold it looks like Saturn. I can be chipped away easily. Overall I think it is a pretty good mold. I don't think it is cost effective to sell the bomb in the mold. COMMENTS: I wouldn't recommend leaving the the bath bomb or fizzy in the mold over night I had difficulty removing the product the next day I had to destroy a few molds to g the product... Will need to get more later on. COMMENTS: This is the easiest mold I've used to produce a jumbo sized bath bomb and a wonderful price to boot! Can be used multiple times just wash in soapy warm water air dry. COMMENTS: Who doesn't like that bubble feel in the tub? COMMENTS: The price is right on with these for sure! Very easy to use and the end results are great. Does take a little practice and common sense to use. COMMENTS: These do work for their intended purpose. However, I feel that they are way too big for a single bath bomb. Will need to get some smaller ones. COMMENTS: These little guys hold a lot of product and are a very sturdy plastic. I would recommend to buy esp if you're like me and sell your bath fizzy in the mold. COMMENTS: great product, easy to use! COMMENTS: This mold is HUGE! It was much bigger than I was expecting. Works great for molding LARGE MONDO bath bombs (makes about an 7.5-9oz bath bomb, depending on how heavily it's packed). I didn't buy the plastic bands to seal it (though I don't sell them in the molds). I simply packed it in, tapped it on the counter, made sure it stuck together, then wrapped rubber bands around the outside. When left overnight they hardened great. Didn't crack, and the mold didn't turn a nasty foggy color either, they washed out well! COMMENTS: This mold is sturdy and makes great packaging. The size is just right for bath fizzies. COMMENTS: I bought these as an easy way to make bath bombs. I found they worked well and I like having them in a container. This should help with shipping them over the holidays.